Some travelers are adventurous spirits who prefer exploring new areas alone. They love privacy and don’t like to share a new experience with foreigners who happen to be at the same place and time. On the other hand, there are those who don’t like planning or navigating on their own throughout new places, so they let others do all the planning and organization. They either choose an escorted tour or privately tailored tour, so they can enjoy sightseeing without any worries. Joining an organized tour brings lots of benefits, including more knowledge about the visited site (a tour guide provides all information about it), no waiting in lines to buy tickets, seeing more in one day because a guide will drive you from one place to another, the zero chances of getting lost, not finding the site, etc. Some people do not have enough time to research and learn a lot about the places and landmarks. If in doubt which one to choose for your next trip, here are the differences and the pros of escorted tours and privately planned tours so you can decide which one suits your needs better. Escorted tours are offered by tour companies that plan and organize the whole service from the beginning of a tour to its end. Tourists are escorted in groups to various places. Normally, an escorted tour includes flights to a desired destination, accommodation in the visited cities, and transportation between the places on a list to visit, transport to a hotel or airport, sightseeing fees and most meals. Escorted tours are often fast paced and lead by a tourist guide. Tourists spend no longer than three nights in each visited place. Meet new people - being a part of an escorted tour brings new opportunities of meeting new people and making new friends. Those can be people of the same age, same or similar interests; they learn from each other, and share experiences. Fixed dates and schedules- you know when your tour starts and when it ends. All the activities are scheduled including your free time when you can do things on your own. Cheaper than privately tailored tours- in many cases, escorted tours are cheaper than privately tailored tours because of the greater number of tourists. Security- if you are travelling to less familiar or more adventurous places, you can be carefree as there is less possibility something might go wrong. Escorted tours might not work well for everyone. They are mostly chosen by families providing an opportunity for the adults and the children to meet new friends, solo travelers looking for some company, those who don’t need much privacy and prefer traveling with more people and finally people who are looking to get luxury and benefits of a guide in order to enrich the tour experience but for a much more acceptable and reasonable price. Not everyone likes to travel with a group of strangers, or they don’t look for a fast paced tour. People who don’t have much time to organize their trip in advance or be their own guides usually turn to privately tailored tours to get a tour plan, schedule, and a guide who will be on the tour with them and take them to all the planned sites and activities. Flexibility: with a privately tailored tours you can add or remove some excursions from a list on the spot in a case of a bad weather, mood or other reasons. It also allows you to change the duration of a trip or change the departure date. Privacy: choosing a privately tailored tour over an escorted tour means more privacy and having a full control over your trip. Just as the escorted tours are not for everyone, so is with privately tailored tours. Those who usually look for them are families who prefer to have some quality time together; business travelers who do have some free time to go sightseeing; small groups of friends who are looking for an adventure and a unique experience, but still not willing to plan it all on their own; couples who want to have some time for themselves, alone and without any other company. 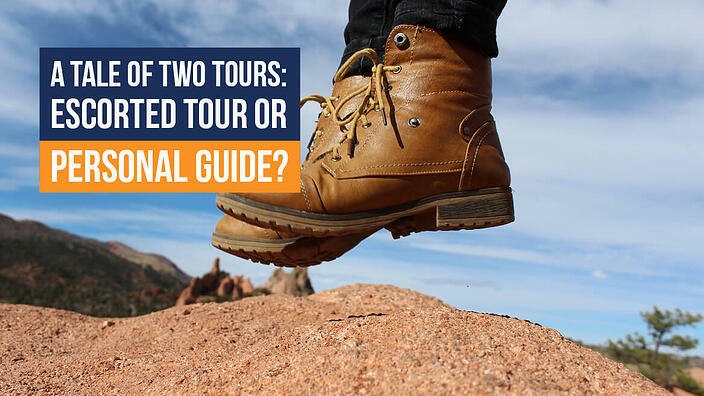 With a privately tailored tours it’s much easier to learn; a guide has more space for additional explanations if necessary, tell more about the information a tourist is interested in. It is a bit difficult to get this when a part of a larger group.